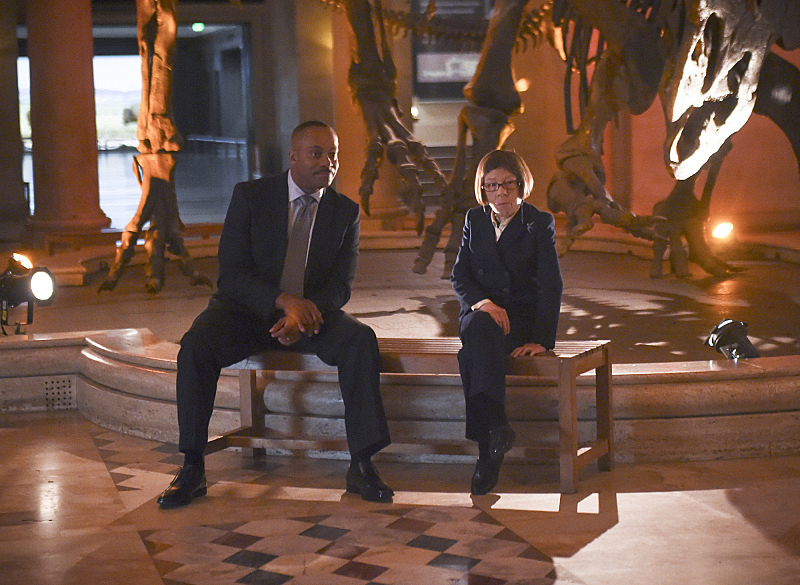 Pictured: Rocky Carroll (NCIS Director Leon Vance) and Linda Hunt (Henrietta "Hetty" Lange). The NCIS: LA team takes action to protect one of their own while being interrogated by the Department of Justice. Meanwhile, Nell goes undercover as Hetty, and Director Leon Vance gives Hetty disturbing news while she is in Washington, on NCIS: LOS ANGELES, Monday, Oct. 13 (9:59-11:00 PM, ET/PT), on the CBS Television Network. Photo: Ron P. Jaffe/CBS ©2014 CBS Broadcasting, Inc. All Rights Reserved.